The holidays are right around the corner and you don’t know what to get for your family members, friends, or significant other. We’ve assembled this gift guide so you can find the perfect present for the iPhone owners in your life. 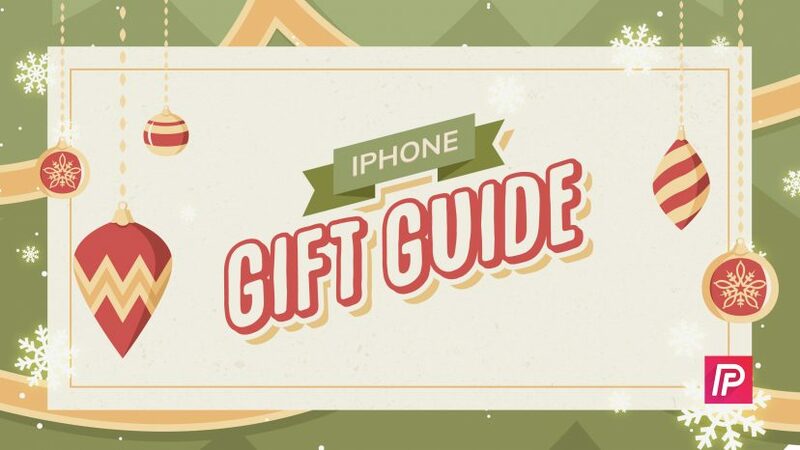 Here are some great iPhone gift ideas for the holidays! We want you to know that we only recommend products we really believe in and can stand behind. We’ve had first-hand experience with many of these items and that’s why we’re comfortable recommending them to you! Many of the best iPhone gift ideas are the small accessories that are essential for iPhone owners. Here are some small things you can get to fill up those stockings! MFi-certified means that there’s a tiny chip inside the cable that was created by Apple. Charging cables without these chips (the ones you’ll usually find at your local gas station) can be dangerous and often lead to the dreaded “This accessory is not supported by iPhone” warning. If your charging cable isn’t MFI certified, it might also get extremely hot or, in most cases, to stop working after a week. You’ll save $10 on your purchase of $25 or more for a limited time only in the Payette Forward Shop with code SAVE10FB. Just enter the code at checkout. Pick up a cable and a waterproof pouch while you’re at it! Remember, the iPhone X and iPhone 8 are water-resistant up to a whopping 3 feet. Our pouch keeps you safe up to 60 feet deep (and in the deep end of the pool). Another great stocking stuffer for the iPhone user in your life is a brand new case! Cases can help keep your iPhone in tip-top shape, even if you accidentally drop it or slam it in the car door, as I did recently. The case I use on my iPhone 7 and fully recommend is the Baesan Air Cushion Shockproof case. 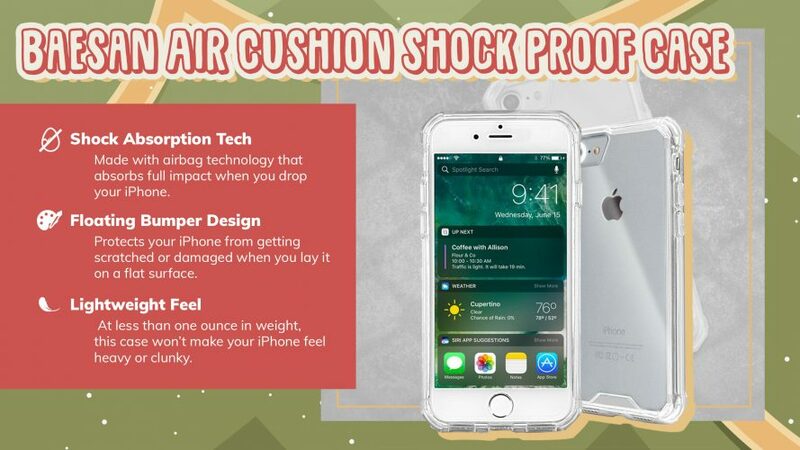 This lightweight case is designed with airbag technology that absorbs much of the impact if you drop your iPhone. Best of all, this case is very affordable — it costs less than $10 if you have Amazon Prime. If you’re willing to spend a little more money, we highly recommend cases by Speck and OtterBox. Both of these companies produce many high-quality cases for every model of the iPhone. Not quite sure what to get the iPhone owner you know? Why not get them a gift card for the App Store & iTunes? 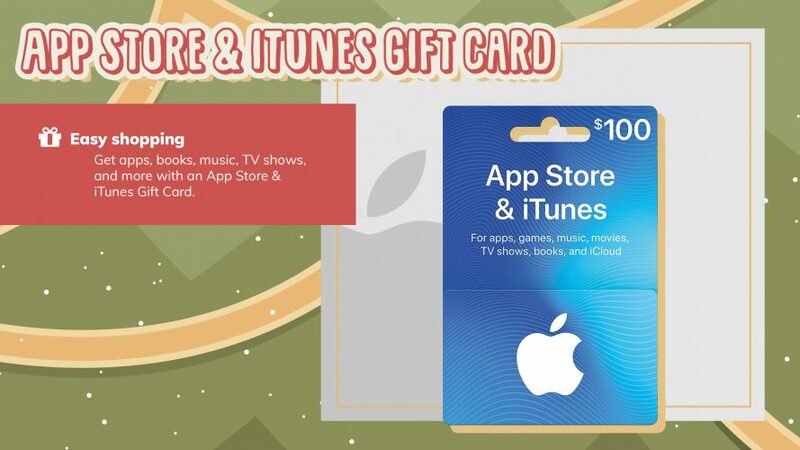 With an App Store & iTunes gift card, you can purchase music, apps, ringtones, TV shows, movies, and more! On Amazon, you can purchase these gift cards valued between $25 – $200. If you or someone you know likes to travel a lot, a mobile iPhone charger makes an excellent gift. With a wireless charger, you won’t have to rely on wall chargers or computers to charge your iPhone. Whether you’re hiking up a mountain or sight-seeing in a new city, you won’t have to worry about your iPhone running out of battery life. 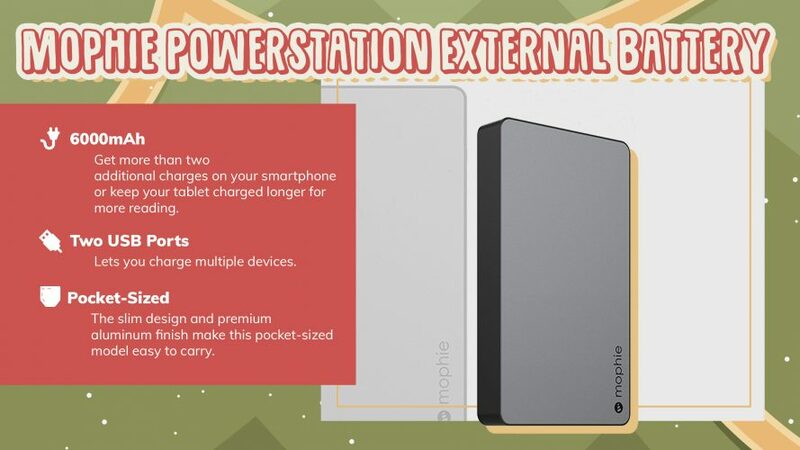 David Payette, the Founder and CEO of Payette Forward, recommends the Mophie Powerstation, an external battery that is compatible with any smartphone. He uses it often when traveling, whether it be for business or pleasure. This external battery will recharge your iPhone or iPad’s battery quickly. The battery pack itself is rechargable, and you can usually charge your iPhone a few times before needing to recharge the battery pack. 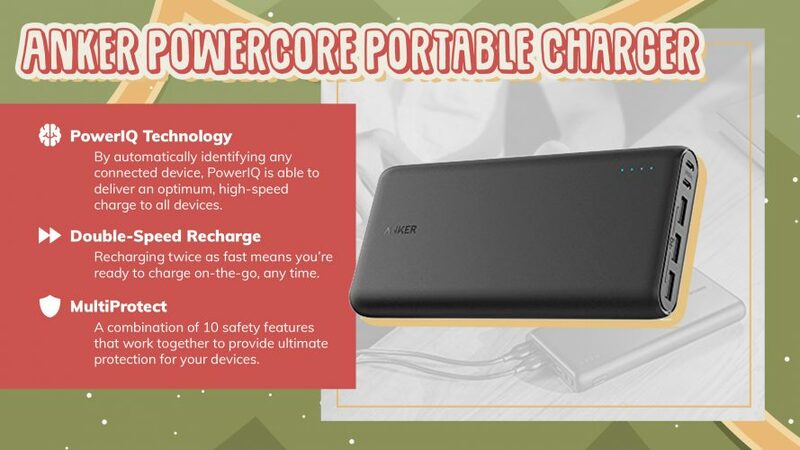 If you have a large family or need to charge multiple devices at the same time, we recommend the Anker PowerCore 26,000 mAh external battery. This powerful external battery has three USB ports, so you can charge three devices at the same time! As owners of multiple Apple products, we really like the idea of having one place where we can charge our iPhone, AirPods, and Apple Watch. 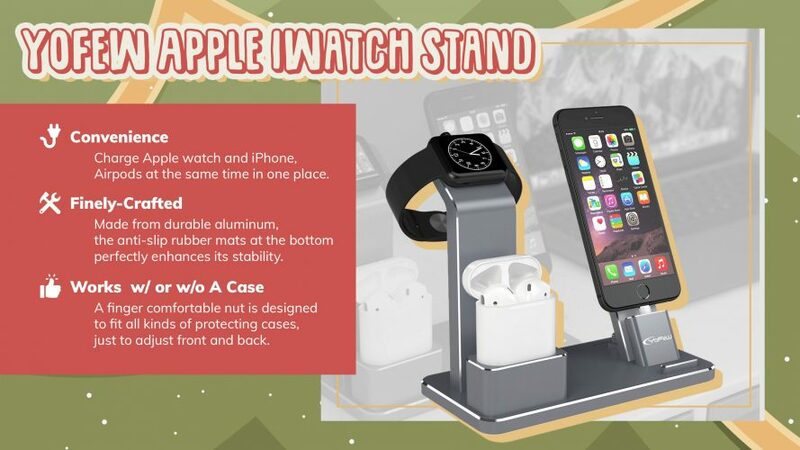 The YoFeW Apple iWatch Stand is compatible with all 3 Series of the Apple Watch, iPhone 5-8, iPhone SE, and iPhone X. This deck also includes two charging cables and can be assembled in less than five minutes. If the iPhone lover you know enjoys listening to music, you may want to consider getting them a Bluetooth speaker. The built-in iPhone speakers are great, but a wireless speaker can take your listening experience to a whole new level. 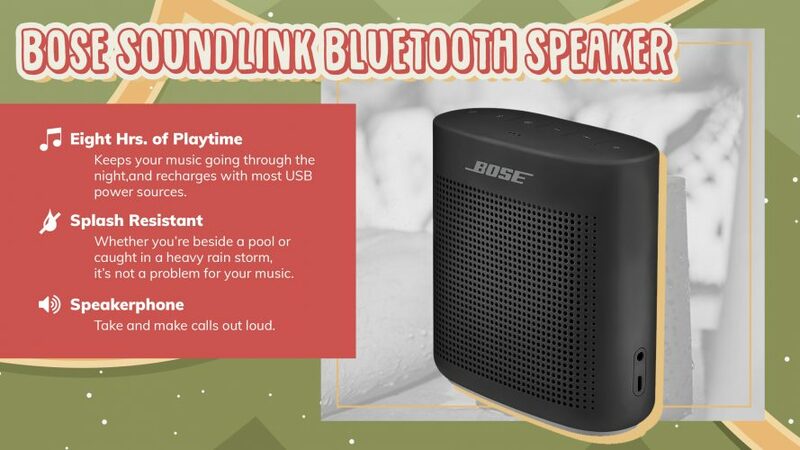 One speaker I can highly recommend is the Bose SoundLink Bluetooth speaker. One of my college roommates had this Bluetooth speaker and the sound quality was simply amazing. We used it often at parties and when playing sports outdoors. It’s also easy to connect it to any of your Apple devices such as your iPhone, iPad, iPod, or Mac. 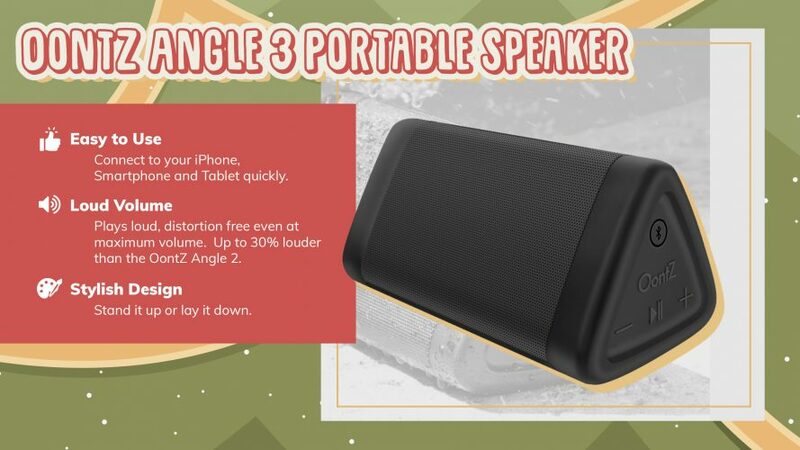 If you’re looking for a less expensive option, the OontZ Angle 3 Portable Bluetooth Speaker is a great choice. This wireless speaker is an Amazon best seller has a 4.5 star rating from more than 22,000 customer reviews. When Apple originally removed the headphone jack from the iPhone 7 and 7 Plus, it became clear that Bluetooth headphones were the future of listening to music on your iOS devices. Considering there’s no headphone jack on the iPhone 8, 8 Plus, or X, it may be time to purchase a pair of Bluetooth headphones if you or someone you know doesn’t already have a pair. 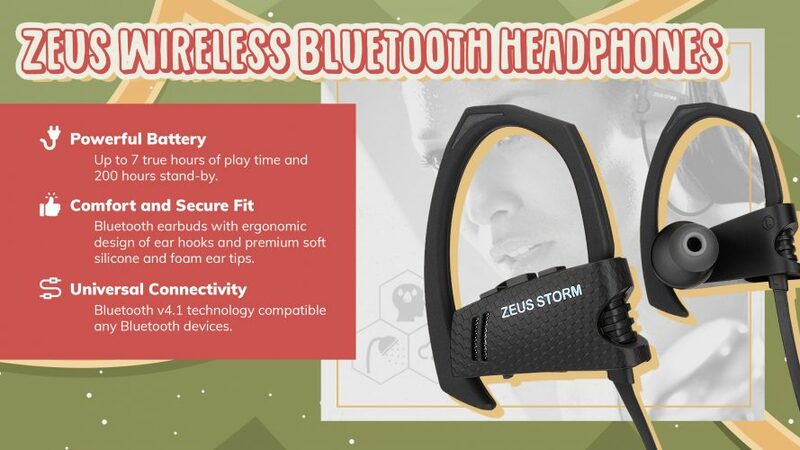 If you mostly wear headphones while working out, we recommend the Zeus Wireless Bluetooth Headphones. These headphones, which a 4.5 star rating on Amazon, are noise cancelling and completely waterproof. Best of all, these headphones cost less than $30 and come with a two-year warranty. I’d also regret not recommending AirPods, Apple’s new wireless EarPods that I wear to the gym every time I exercise. The sound quality coupled with the seamless pairing to Apple devices makes the AirPods a great gift idea for the iPhone users in your life. Note: Make sure you buy AirPods directly from Apple or at a tech store like Best Buy. Most of the AirPods for sale on Amazon cost $200, while Apple and Best Buy only charge $159.99 for a pair. The prices are marked up on Amazon because AirPods are sometimes out of stock at your local Apple Store or Best Buy. 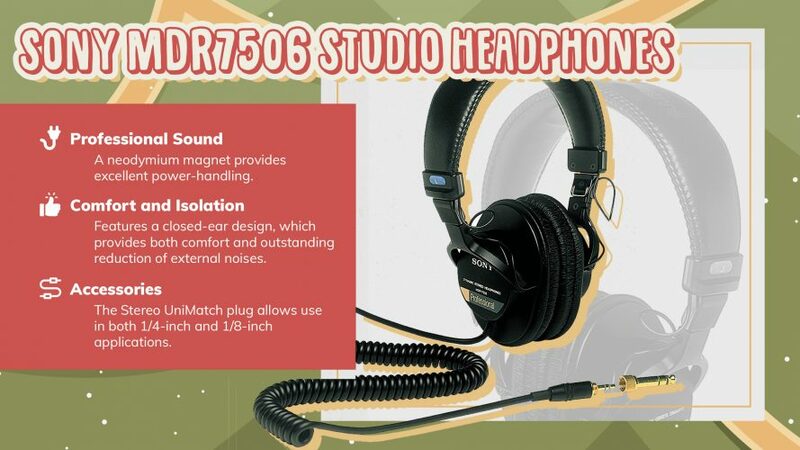 If you’re looking for a pair of studio quality headphones, the gold standards on the market are the Sony MDR7506 and the Beats Solo3 Wireless Headphones. Feeling Really Generous? Gift A New iPhone! If you want to get something really special for your family member or friend, you may want to think about getting them one of the new iPhones announced by Apple at their most recent Apple Event in September 2017. If you have an iPhone 6s or earlier model of the iPhone, you may want to upgrade to the iPhone 8. It’s a bit cheaper than the iPhone X and there are fewer major changes to its hardware and design. If you have an iPhone 7 or 7 Plus and want to upgrade, you’ll probably want to upgrade to the iPhone X. Let’s be honest — the iPhone 8 and 8 Plus really aren’t all that different from the iPhone 7 and 7 Plus, so you may find the upgrade to be a bit disappointing. 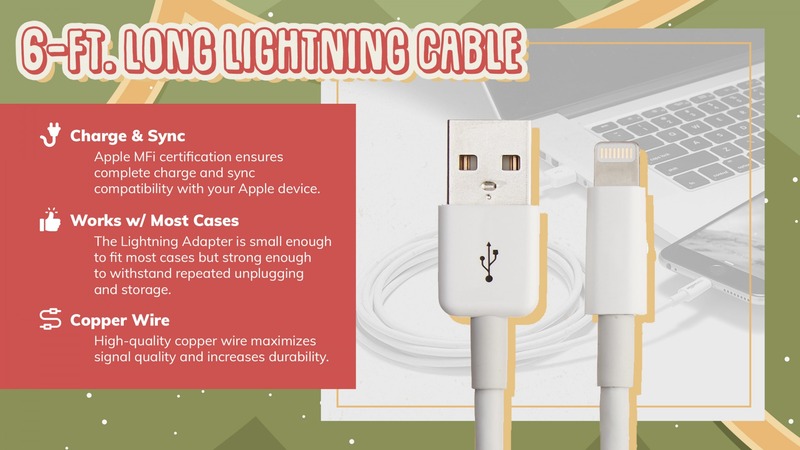 I know we mentioned it before, but a 6-foot lightning cable is a great idea for anyone and everyone for with an iPhone, iPad, or iPod. If you’re not sure about what they’ll love, you can’t make a mistake with the cable. We hope our holiday gift guide helped you come up with some awesome iPhone gift ideas for your friends and family. If you found our guide helpful, we hope you’ll share it on social media! Affiliate Disclosure: If you make a purchase after clicking on a link in this article, we may receive a commission on your purchase. Previous ArticleMy iPhone Charges Slowly! Here’s Why And The Fix. Next Article My Apple Watch Froze! Here’s The Real Fix.